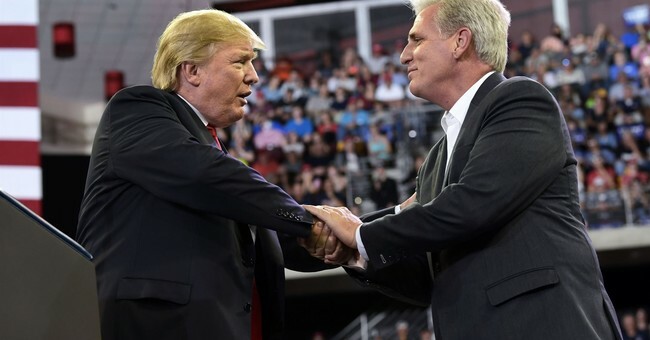 California Congressman Kevin McCarthy has defeated Ohio Congressman Jim Jordan for House Minority Leader in the new Congress. McCarthy currently serves as House Majority Leader, which will change in January after Democrats took control of the lower chamber on Election Day. MCCARTHY wins 159, Jim Jordan 43. Last week Jordan, a member of the Freedom Caucus, announced he would run against McCarthy for the position. With McCarthy's win, Jordan is reportedly in line to be the ranking member of the House Judiciary Committee. In the wake of Democrat control, McCarthy is being praised for his pro-life principles.